Hey all of you lovely humans. First things first, I wanted to do a giveaway to just let you guys now how much I appreciate you following my blog and supporting me, it seriously means so much to me. If there is ever anything specific you want me to do a post on please let me know! So the giveaway is going to be a gorgeous over dyed rug! I am really excited for this giveaway because I just have been crushing hard on decorating lately and I can't wait for someone to have some fun with this! 2. Subscribe to the blog and comment below. Living in a studio apartment in NYC can get kind of crazy when it comes to decorating. On one hand you want to be the minimalist who doesn't have clutter and keeps everything simple, but on the other you want to decorate every corner because you only have so much space and might as well have fun. It seems like every 2 weeks we are rearranging things or trying to figurer out a new way to see our space. As anyone knows New York is crazy expensive and rent is ridiculous, but we all justify it because the city just never stops giving. I am so so grateful for Urban Outfitters when it comes to Home decor. They absolutely kill it on offering amazing pieces at insanely affordable prices. I don't think I even registered how much furniture was until I moved here. 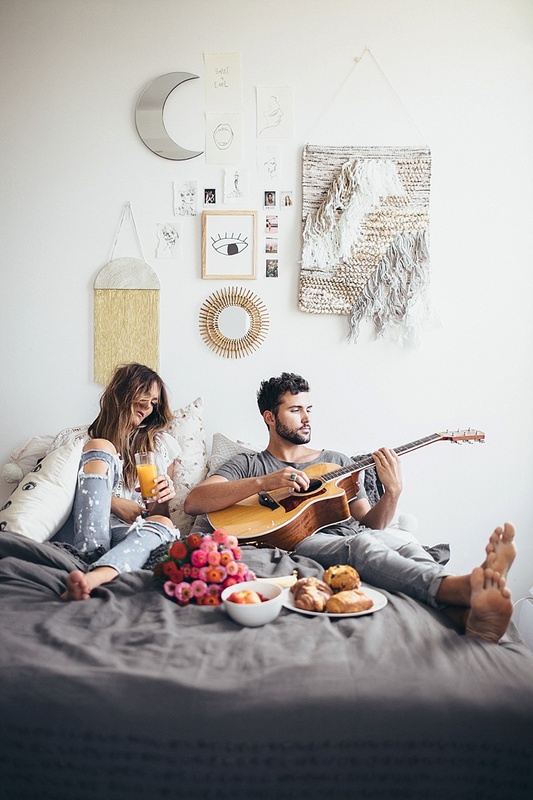 So for anyone who is wanting to get creative in their space or add a little flavor I linked below all the fun items we have used in our apartment to give each wall a little love as well as some of my favorite go-to bedding that allows me to get really creative elsewhere in my apartment. Hope you enjoy. Any tips or questions please let know. I know how creative so many of you are! Happy decorating. Love everything about your apartment! love everything about this! I always look to you when styling my tiny apartment. you're amazing! thanks for doing this. you've definitely got a talent for style. I absolutely love your blog!! It is my style, home, hair, make-up, and pretty much EVERYTHING inspiration. I love how effortlessly put together everything is and how you started your blog just to get all of your creativity under one umbrella! Love all of the energy in these photos and in your apartment! I'm new to my apartment and would love to add a beautiful rug to decorate! Fingers crossed! NYC is one of my all time favorite places on planet earth. I love reading your blog and seeing all your posts, it's so inspiring. Your style and way of design is so effortless!! Lovin' the window photos. Waking up to that view must be pretty unreal! Your creativity inspires me. I can't wait to get on Instagram to see what you've done next. Your more unique and original than any other instagrammer I know. Seriously your incredible, and your posts inspire me to be creative! What I would give for a city view like yours! LOVE LOVE LOVE! just subscribed (elizabethacourtney) and entered on insta @eacourts. you are seriously a DREAM. Love your space and style!!! Love your insta & blog so much. Thanks for showin' your love with a giveaway! Your style is everything. Serious inspiration oozing from all aspects of your life! I have always loved your blog! You are one of my biggest inspirations!! Love your style so much! Always looking at your pictures for inspiration! Stay rad girl. Your blog is awesome! Beautiful pictures! I'm so in love! Love your photos so much! Trying to subscribe to the blog, but not entirely sure how. I hope I win! I'm in an expensive city too (Miami), decorating is expensive! You & your hubs are the cutest couple! I'm definitely using your photo shoots as inspiration for my next "family pictures" with my hubs & pooch. Also, winning this rug (I know it's a random drawing) would be perfect since I'm currently shopping for an apartment from across the country to where I'm moving... you get me right?! Help a girl out!! Seriously the coolest human. Your home is a dream! TEZZZZAAAAAA you are so effing creative it kills me. I came wanting to win a beautiful rug and left with a new sense of envy and admiration for your shots. 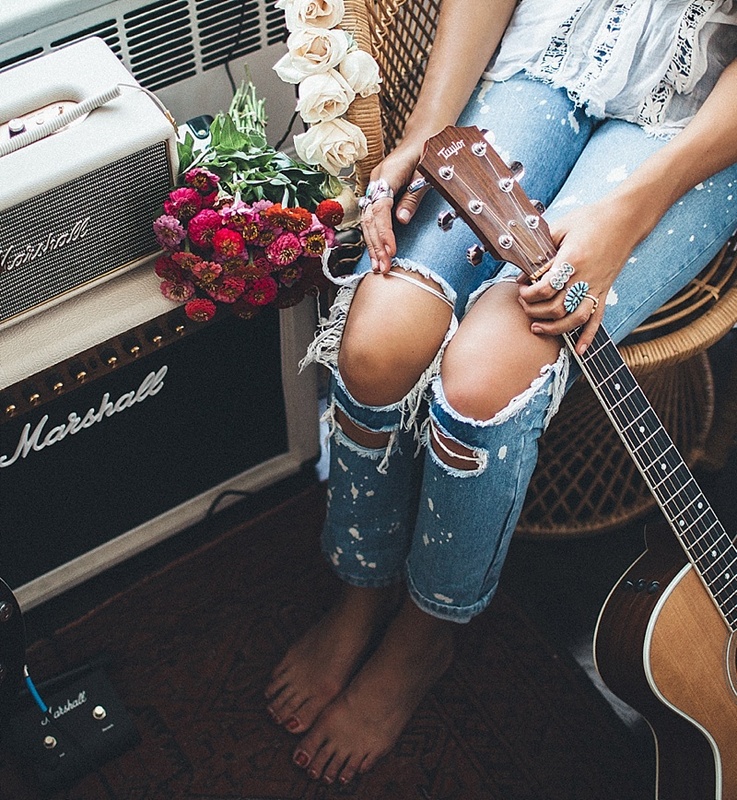 you have the raddest style and the coolest shots so I think this blog takes the cake. if i win this rug i'll be exceptionally happy but if i don't win this rug i'll leave here with more inspiration than before! win win either way. Cheers! So fun! I would love love love a rug to beautify my space and make it look as cozy and relaxing as yours! I love looking at your photos, ever since I followed you you are one of my favorites!! Your decoration inspires me and made me visit urban outfitters a little too often haha. I just moved into my new little studio and it's so nice of you to have a giveaway. Fingers crossed! I'm majorly crushing on that rug!!!! I just love your blog/instagram and I adore your rings! Please do a post about your favorites and maybe links to where you've found them. :) Thank you for the chance to win! 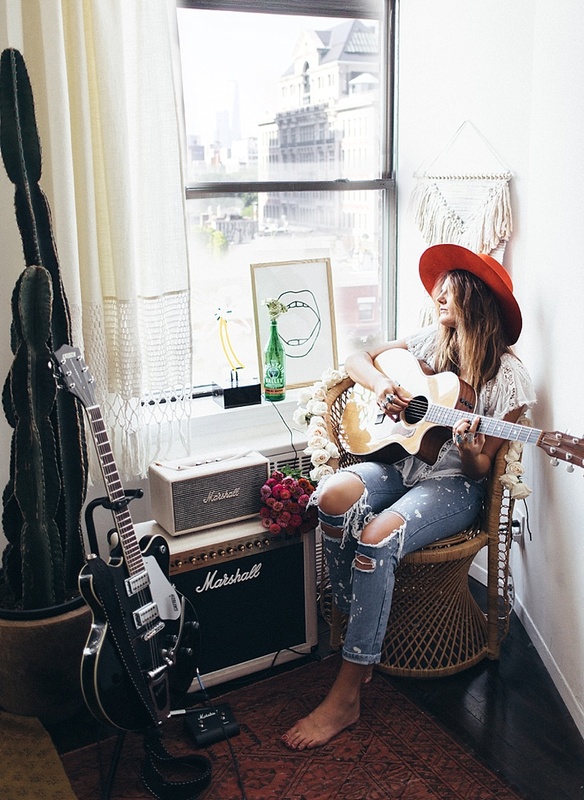 Mega crushing on your apartment... you're killin' it, girl. I was a free People girl and found out about you through that! I've loved your blog, Instagram, collabs with free People and all of your adventures! You've truly inspired me in more ways than not (and I don't say that to everyone!) hoping to run into you on the streets of NYC! I love everything about you, your apartment, your photography, everything. Heyyyyyyahh! Entered on insta (@janaeallred) and I look at your blog for inspiration all the time! Love it! I am OBSESSED with your photos, your style, and you! From SLC, love Free People and was so pumped to see you featured on their blog. I love following your accounts for my own decor inspiration. Tessa! You inspire me to live my dreams. To live extravagantly yet minimalistic. To travel. To BE. Thanks to you, I am applying to NYU and am currently obsessed with any and all of Urban Outfitters home decor. Thanks for being you. For setting an example. For in that example, you encourage others to DO. I am so so so in debt for all of the inspiration you have allowed me to have. I love your space, Tessa -- and UO too! It'd be so cool to try living in NYC -- it seems like a pretty fun city & lifestyle! Okay let's be real you're the cooolest and I've been subscribed on Bloglovin for years now. Love you and your creative mind. Obsessed with Urban home decor too! It's my fav! Lovin the blog Tessa! Everything you post is stunning. I love your blog! You are such an inspiration to me. I loved Luna lune and I love your Instagram posts!! Thanks for being so cool! Your style is amazing! Crossing my fingers! Your style is everything. Crossing my fingers!! It's amazing how a beautiful space can really change my whole day, and re-inspire me to embrace anything that comes with it! Thank you for sharing your eye, and yourself through your design. I LOVE your apartment! Crossing my fingers on this one! Mahalo for giving us decor inspiration! My hubby & I especially adore your living room! We recently got a new place and were inspired by your digs as we decorated our house. Keep on keepin' on! You have such a gift for not only finding beauty but making it. I'm in the process of trying to decorate mine and my husbands first place to make it feel like home. It has been more work than I thought trying to make it us, but I am loving the process. Thank you for your inspiration! I've been searching for a good rug FOREVER. Love love love this studio and everything in it! Subscribed! I should've done this a long time ago. 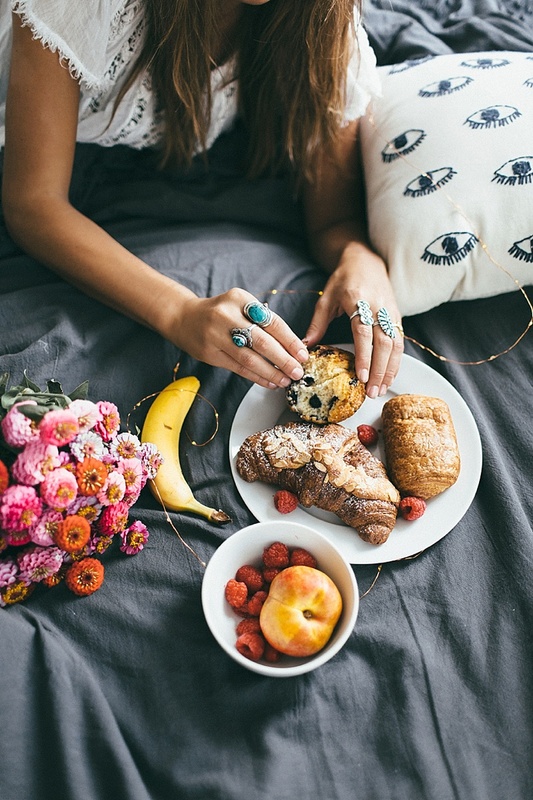 Your blog is so stylish and tasteful, I'm absolutely in love! What a beautiful apartment!!! I love it! This looks awesome. We are moving to Seattle soon and I want my apartment to look just like this! This whole post is goals!! You are amazing! 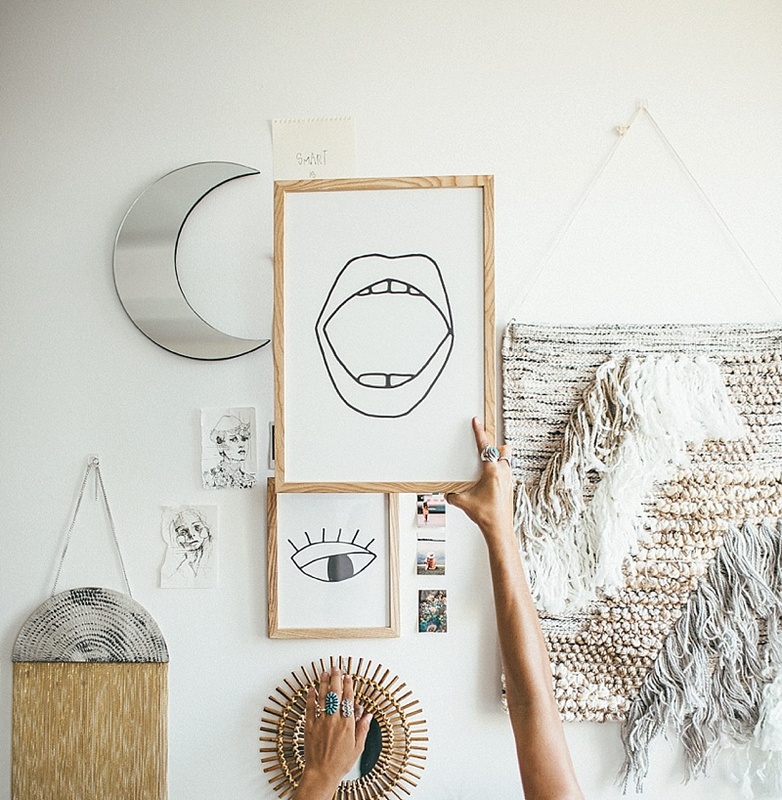 I live for interior design, so thank you for your blog (which is exceedingly inspiring & drool-worthy). So excited for you Tessa!! The Paul family loves and misses you. We are always rooting for you! Currently redecorating my apartment and your blog is so inspiring!!! You have such a unique style. Love it! Love everything you do!! Every part of your life seems so authentically you! Your apartment is beautiful! im impressed with how much personality you've infused into such a small space. 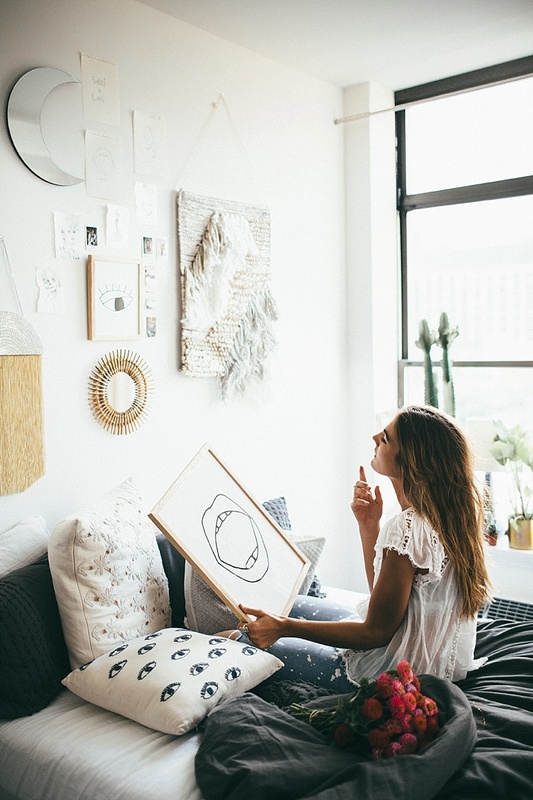 Love everything about your apartment, your style is always so cute! Hope you're loving NY! Your apartment is stunning! Oh no! I thought I commented on this last night but it's not showing up! ;( Anyways, in my comment I said that my husband and I are moving into our first place together and we would love this rug!!! Gimme Gimme Gimme I Need I Need! Hi Tessa what is the size of your bed???? Interesting furniture designs. Loved it.! Good blog i found, The people can check out the logistics service portal LogisticMart. It helps to connects with 4 verified logistics companies once a user send shifting request through website or app.